Before Neymar made the switch to the French capital from Barcelona, Lionel Messi tried to convince him to do otherwise, by assuring him that he will make him win the Ballon d’Or if he stayed at Barcelona, according to Sport. Messi and Suarez met with the Brazilian a night before their clash against Juventus in the International Champions Cup, and tried to convince him to stay at the Camp Nou. However, little did they know that as they spoke, an agreement was being reached, and there was no coming back from there. It was perhaps Messi’s last ditch effort to try and persuade the mercurial forward to stay at Barcelona. 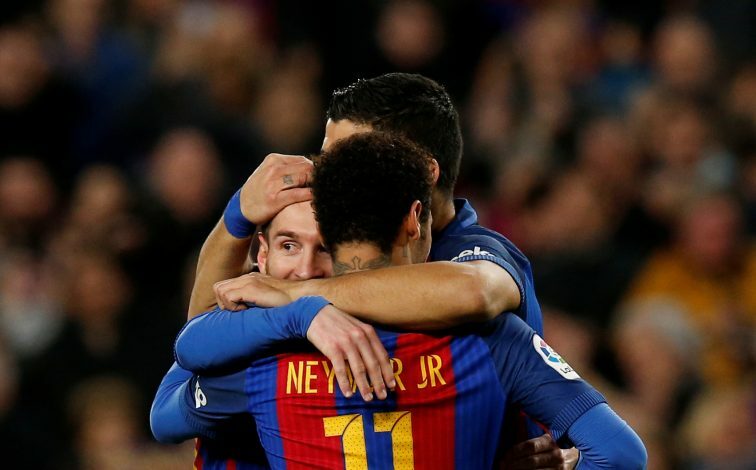 During their match against Juventus the next day, Messi did everything he could to launch Neymar into the spotlight; which he managed to do, as Neymar scored both the goals in a 2-1 win. The larger idea was to let Neymar take all the free kicks and penalties, and to also build a team around him. Messi was ready to morph himself as a mere playmaker and let the Brazilian take center-stage in the years to come. However, little did Messi know that Neymar had already made up his mind to make the move by then. However, this is now just another anecdote for the history books of the beautiful game. The truth is, Neymar is the world’s most expensive player, and is living his dream of being his club’s superstar. He is no longer in the shadows of a player who has long been considered to be the best of all time. Neymar’s ultimate goal, perhaps, is to be the star, and win the Ballon d’Or someday. Messi, on the other hand, has already done that 5 times, and has reached a point in his career where personal achievements don’t matter anymore. But, it makes one believe that the tide will turn. While Neymar would have had Messi helping him become the best player in the world, he will now have to come up against him for the same spot – which, as Cristiano Ronaldo will tell you, is not such a great thing after all.